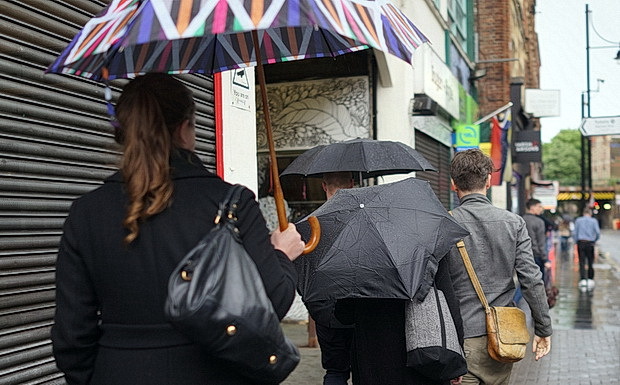 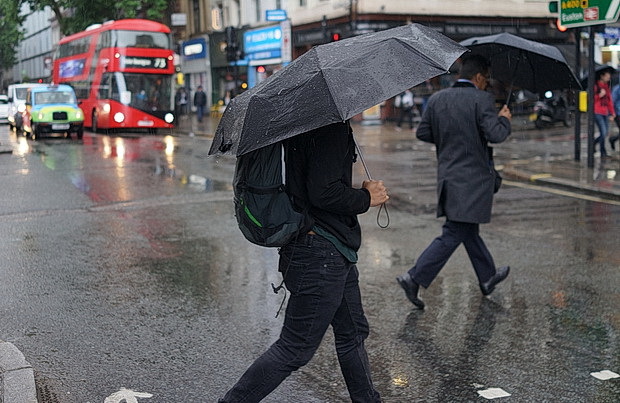 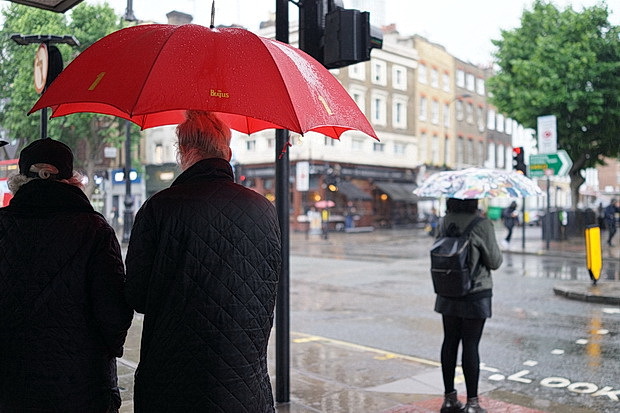 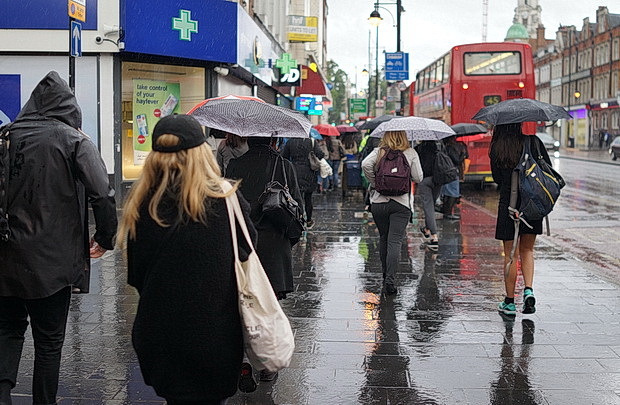 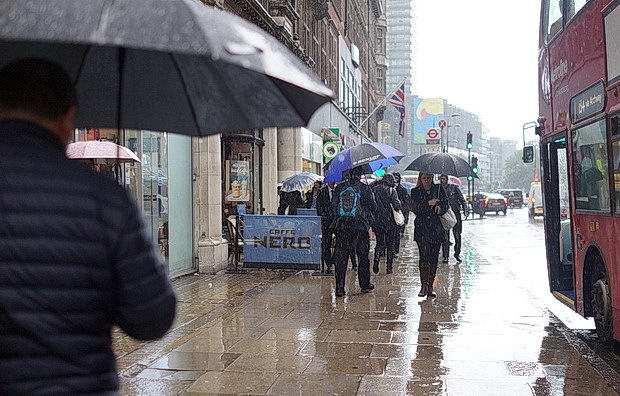 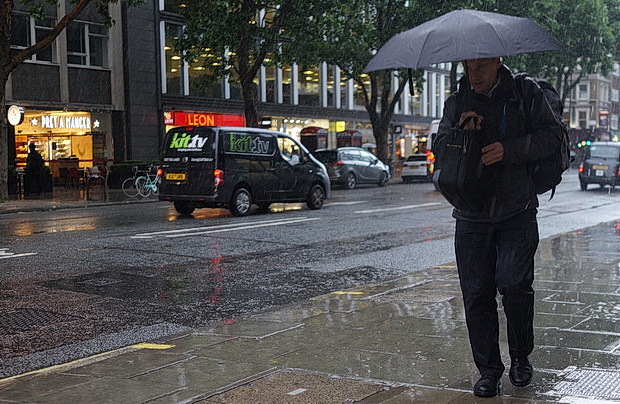 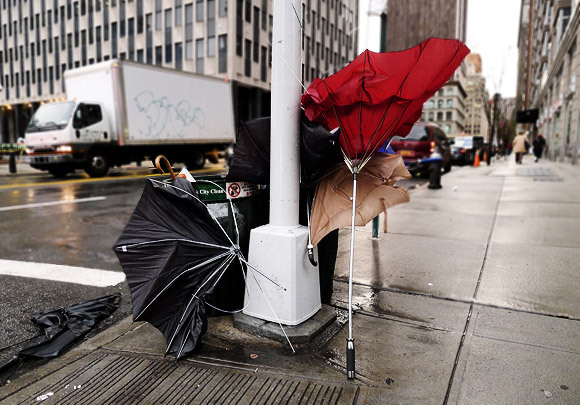 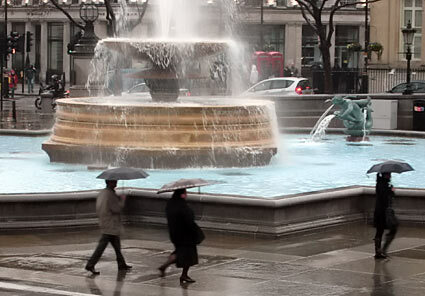 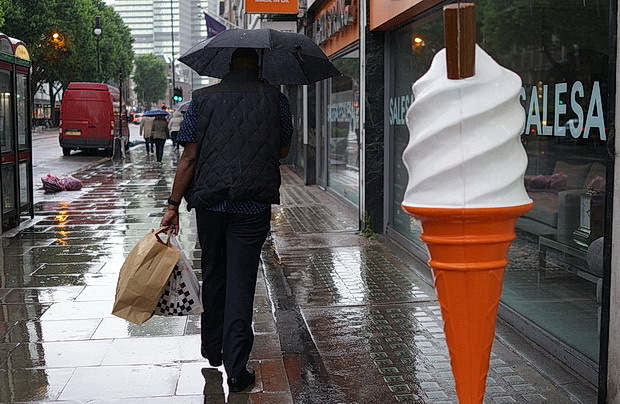 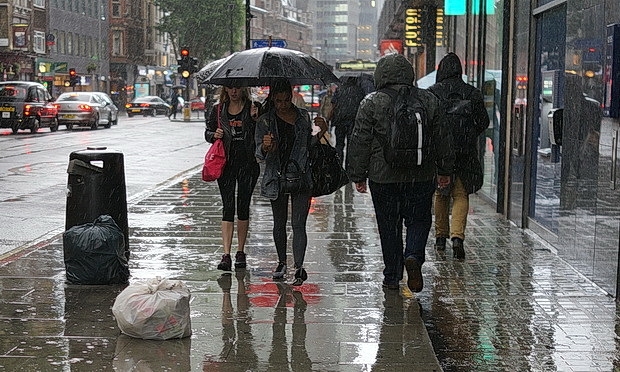 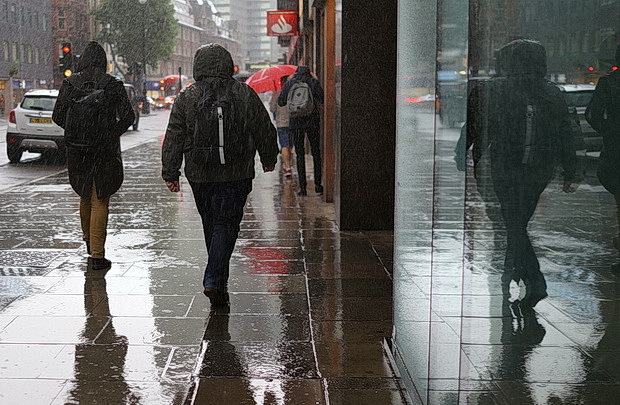 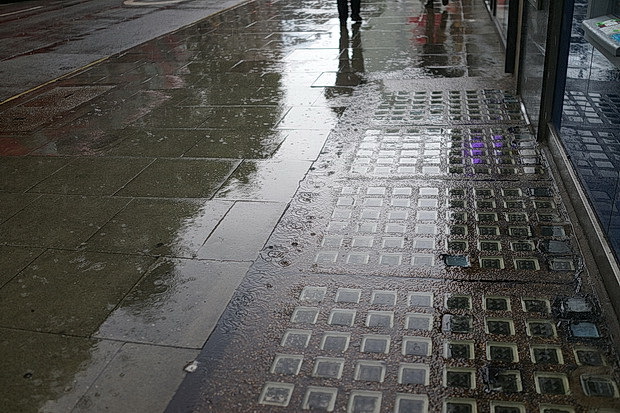 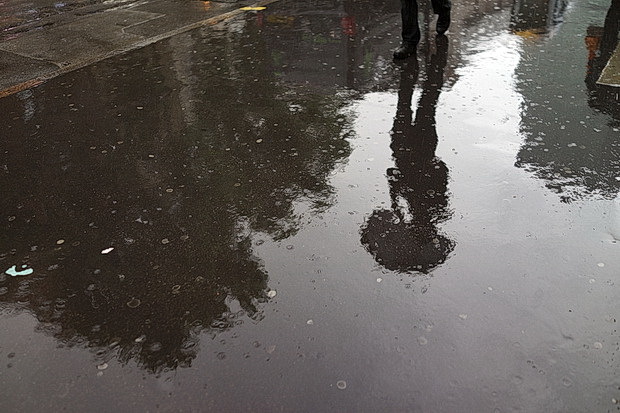 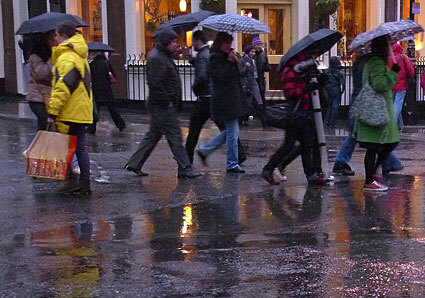 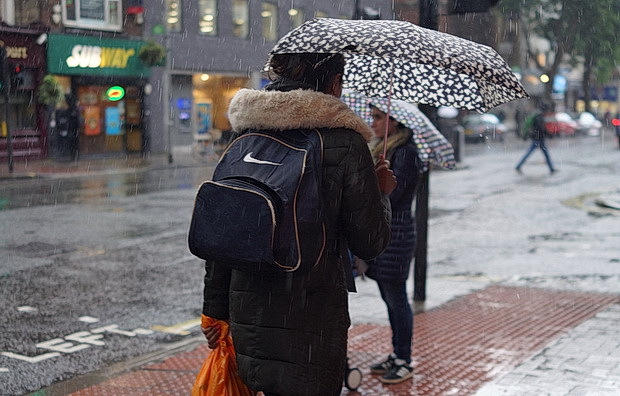 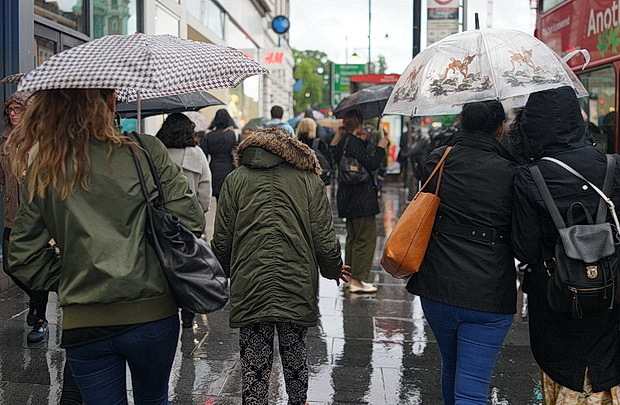 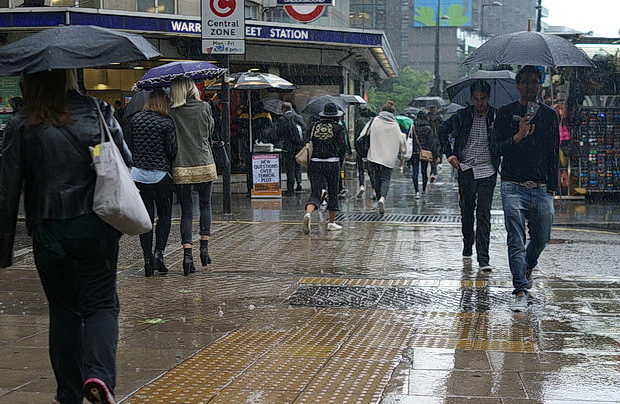 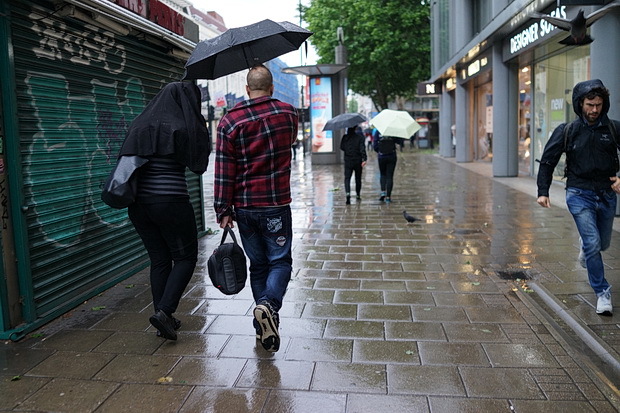 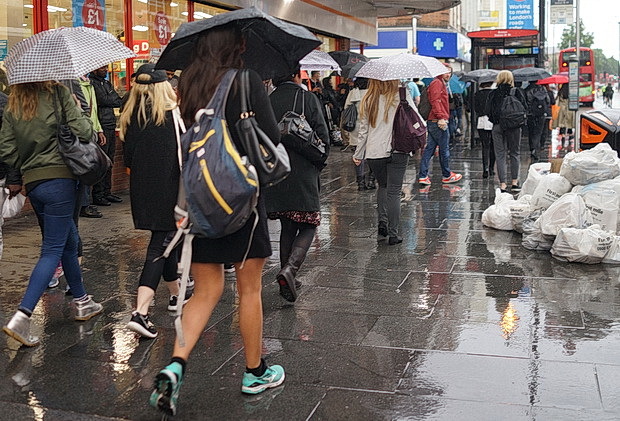 We may be six days into June, but Londoners got a real drenching today as the skies opened up and sent people reaching for their umbrellas. 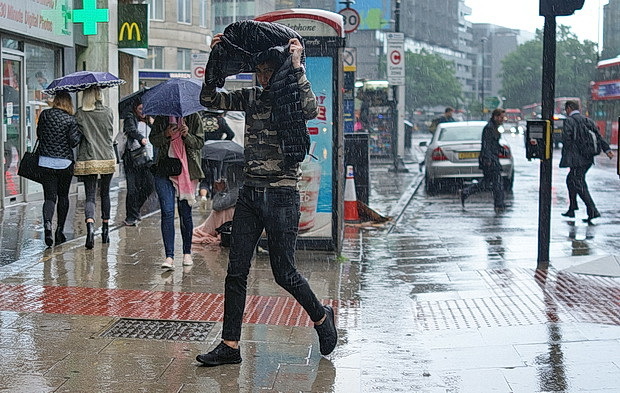 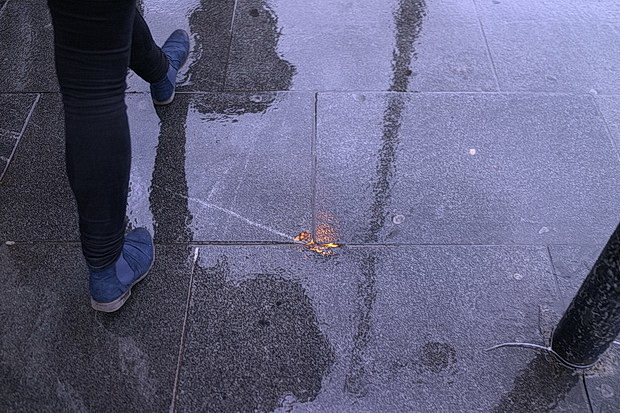 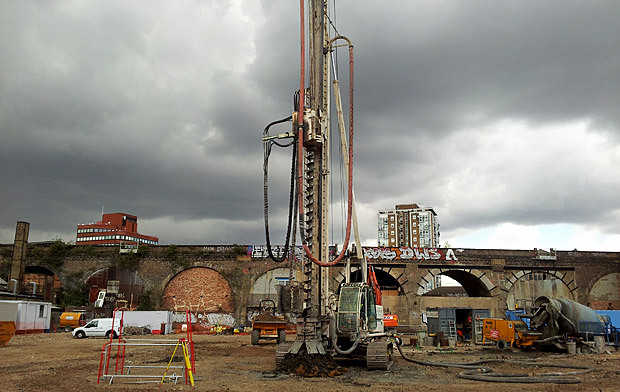 Here’s a series of photos taken in central London and Brixton this afternoon. 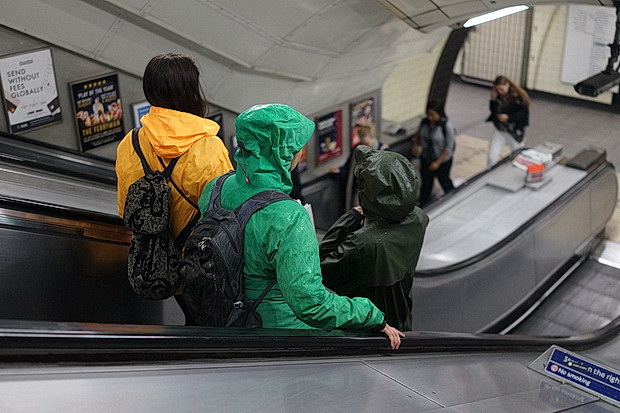 Hoods still up on the down escalator. 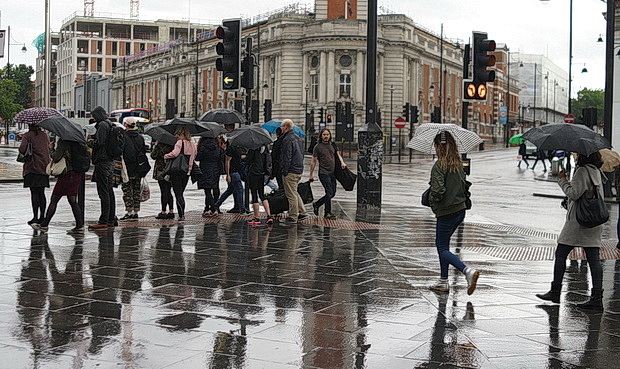 Waiting to cross the road outside the town hall.